A roof must be made of high-quality materials if it is going to survive the weather. However, there are plenty of options out there that might confuse a homeowner. This is why Innovative Roofing and Siding, Inc., the best roofing contractor in the area, shares our thoughts on the best residential roofing options. Shingle roofing is the most popular material available and with good reason. It’s relatively affordable, easy to install, and tough enough to require little maintenance. It doesn’t rust and it’s available in a wide variety of colors, making it a versatile option even for budget-sensitive homeowners. Metal roofing is known for two things: energy efficiency and durability. Any metal roof installed by a reputable roofing company like ours will help you save on electric bills while keeping your home safe from hail or debris that would otherwise crack more brittle roofing options. Tile is considered a classic residential roofing material, but classic doesn’t always mean outdated. Clay tile has excellent thermal resistance, can withstand strong winds, and does not suffer from corrosion or rot like other classic roofing options. Tile is also one of the best-looking materials you can put on a residential roof. If you ask an expert about high-end options, you’ll most likely hear them respond with “slate”. When properly installed, a slate roof can look good and keep your home protected longer than any other material. If you’ve been wondering: “is there a roofer near me who install a slate roof?” call us today! Invest in a roof made of high-quality materials from a trustworthy roofer. 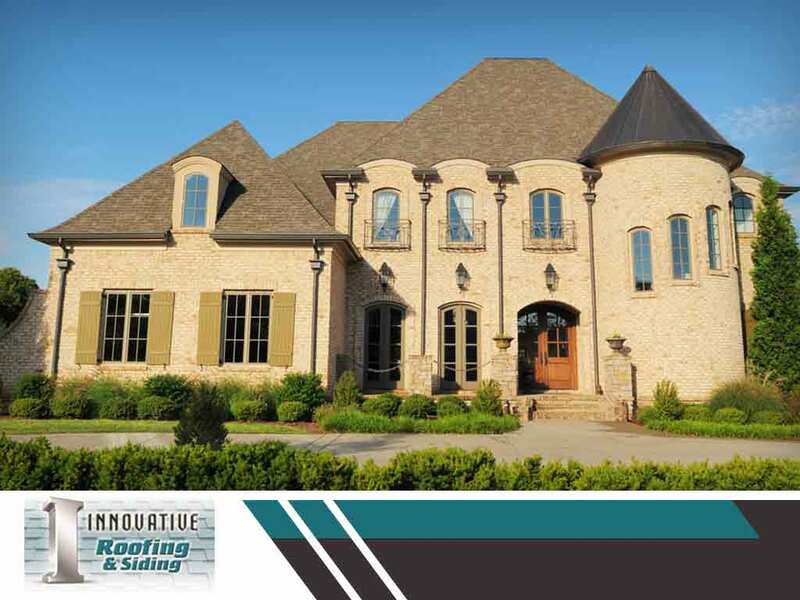 Innovative Roofing and Siding, Inc. is the leading roofing contractor in Knoxville. You can call us at (865) 444-6070 or fill out this contact form to request an estimate.